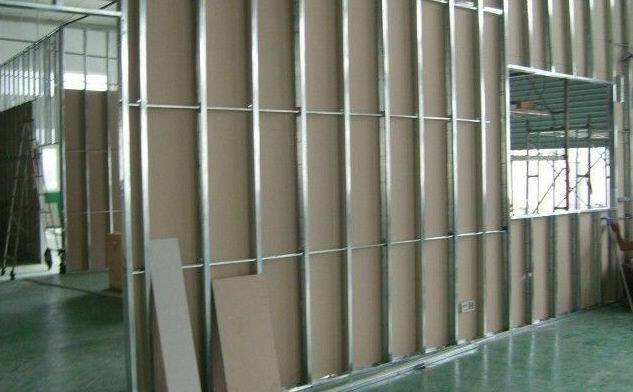 The stud wall is the basic frame for a partition wall. These types of walls are hollow and will typically not be load-bearing. 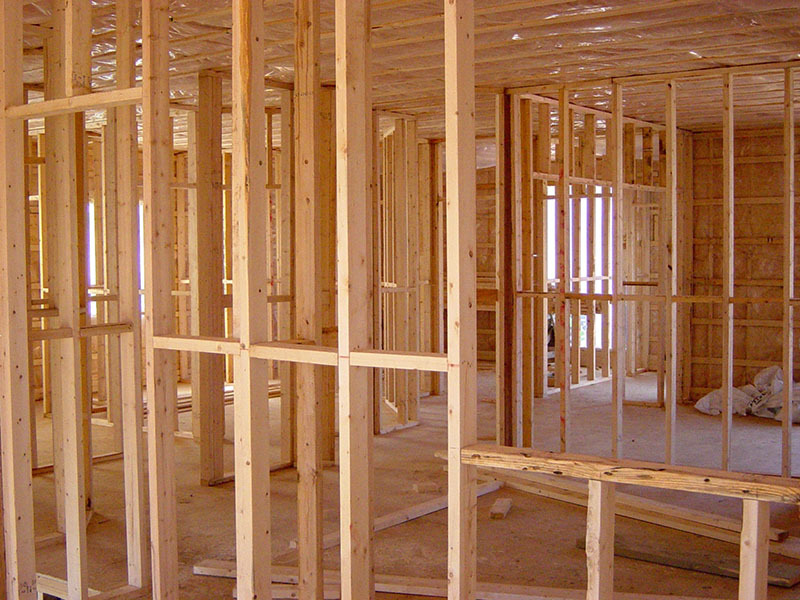 A stud wall is constructed by creating wooden or metal frames with vertical, and sometimes horizontal posts that mark the shape of the new wall. These posts give structure to the wall and lay the foundation for it. Electrical wiring can be built into the stud wall by drilling holes in the posts for the cables to run through. You can also insert insulation between the posts to dampen sound and better maintain the internal temperature of the room. Plasterboard is often placed over the outside of the studs to create the solid surface of the wall. Plasterboard is available in a variety of thicknesses, with thicker plasterboard providing more strength and stability, making it suitable for use in ceilings as well as plaster wall repairs. The plasterboard is secured to the studs using drywall screws rather than nails. Dry wall can be used with studs and is often used for plaster wall repair that involves covering exposed brick inside a house. This is more common among older homes. Dry wall can also be used to create a false wall on which to mount a flat-screen TV. The wires and cables can then be hidden behind the false wall for a look that is sleek and uncluttered. Here at Perth Ceiling Repairs, we fix more than just ceilings. We are your source for wall repairs in Perth as well. Our team will be happy to discuss your ideas with you. We can determine how to install partition walls to bring your dreams to life. Call us today to get the design and planning process started.